The Aragusuku Islands are comprised of two islands, Kamiji Island and Shimoji Island, and they are also known as the “Panari (Separated) Islands” due to their being apart from one another. 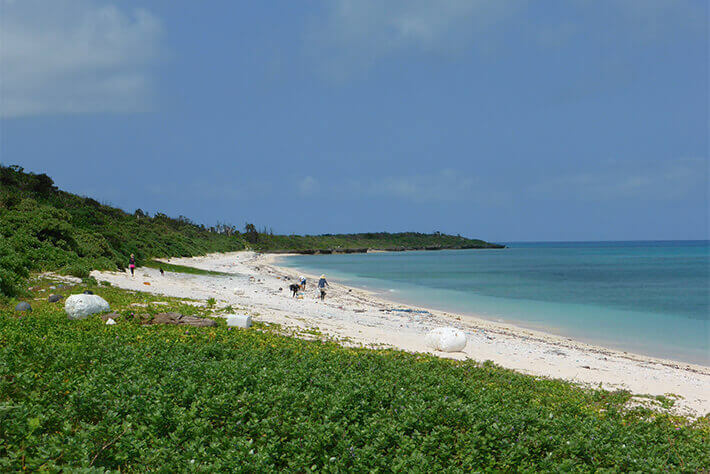 The population of the islands is around 15 individuals, and since there is no regular liner service to visit the islands, you will need to join a tour conducted by a travel agency or diving shop. 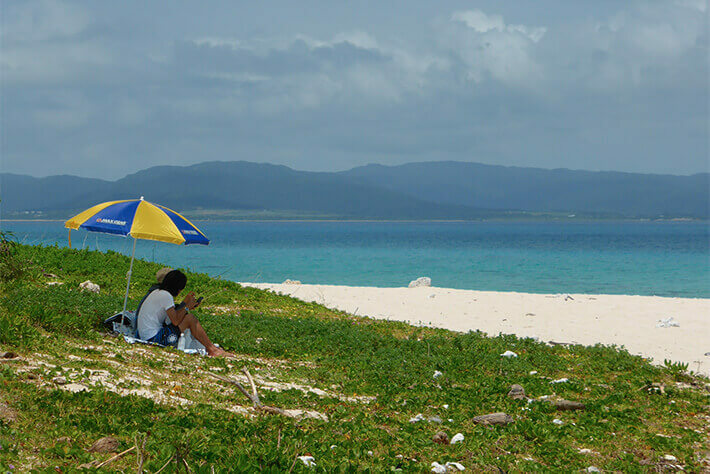 The Aragusuku Islands, where much of the old way of life is preserved to this day, are mystical islands with many places that are closed to visitors. 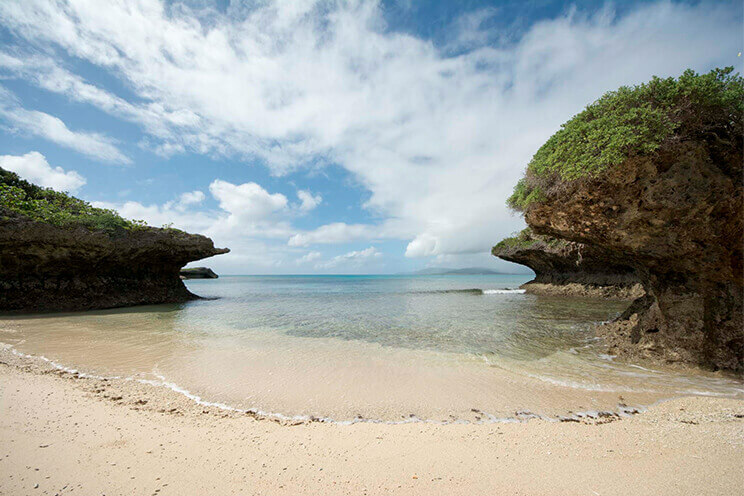 Located between Kuroshima Island and Iriomote Island, the Aragusuku Islands are comprised of two islands, Kamiji Island and Shimoji Island. The distance between the two islands is approximately 400 meters. 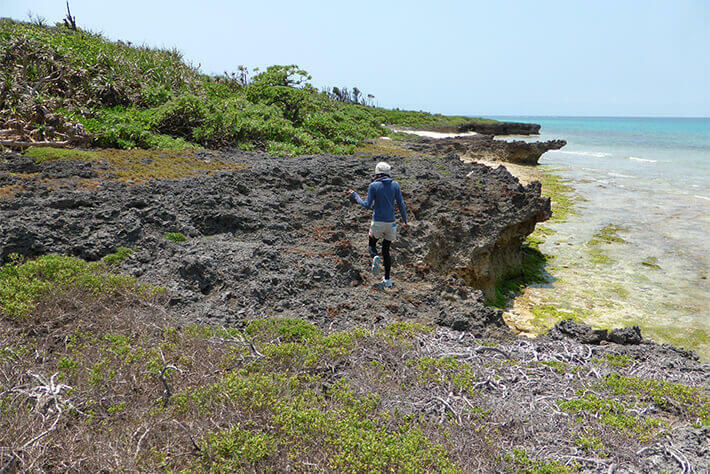 At low tide, the shallow waters allow you to cross between the two islands on foot over the reef. 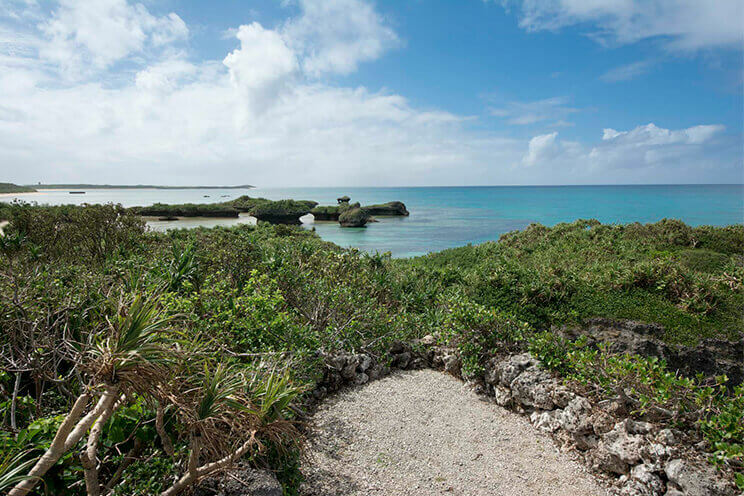 Many people visit the islands each year and find themselves fascinated by the waters surrounding them, which have some of the best snorkeling spots with unspoiled nature that still remains with the Yaeyama Islands. There is a small beach with the romantic name of Koijigahama (“koi” refers to love in Japanese) near the pier on Kamiji Island. 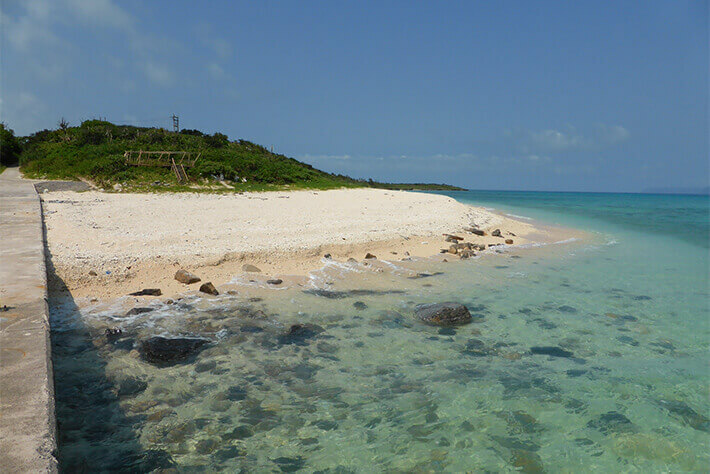 This beach is said to have long been a dating spot as far back as the dynastic era of Ryukyu when there were as many as 700 residents on the island. Take a seat on the quiet cove, and you may just hear the breathing of lovers who once cuddled up together here. The never-changing sound of the waves will likely have you in the mood as well. Ferry: As there are no regular routes to the island, you can only travel there through a tour.